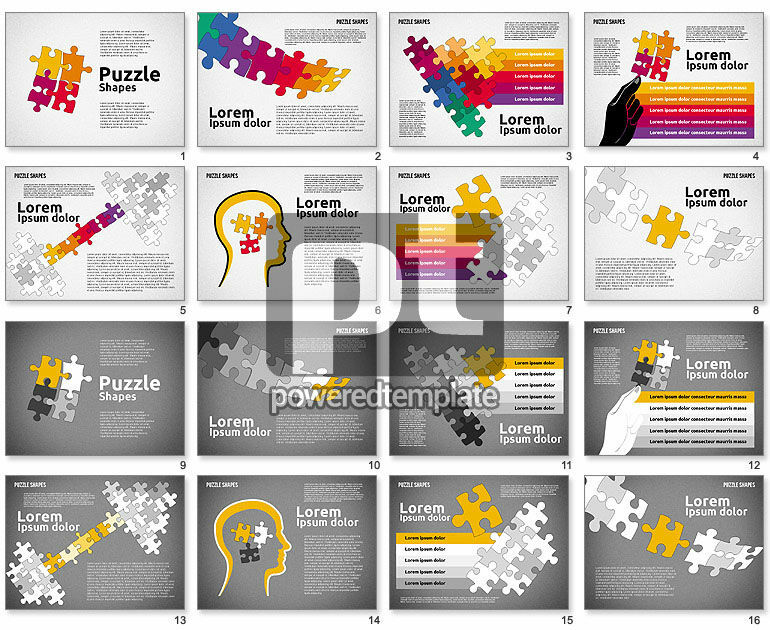 These presentation slides 44524 are complete compatible with Google Slides. Simple download PPTX and open the template in Google Slides. Feel free to pick this marvelous modern template dedicated to business aspects of various kinds, such as reports, results, ideas, processes, and many others. This gorgeous set is made in a puzzle style, there are many colorful puzzle details connected to each other, stripes, human hands and heads silhouettes, icons, etc. This cool sample will be highly appreciated by your audience.